WATERFRONT town home with delightful Anglo-Caribbean architecture, metal roof, 4 spacious terraces to enjoy year round indoor/outdoor living in the seaside village of Little Harbor. "View Tour 2" aerial of community! This destination resort type of lifestyle offers on site white sand and secluded BEACH, 2 waterfront restaurants/sports/tiki bar, tennis courts, fitness centers, heated swimming pools, deep water marinas, and dry storage with slip availability. BOATERS paradise with direct access to the Bay/Gulf-no lifts or bridges. Nature enthusiasts enjoy canoeing and kayaking on the RIVER and canals, while enjoying dolphin & manatee sightings. FISHING mecca. Great primary or secondary home or investment with minimum rentals being weekly. 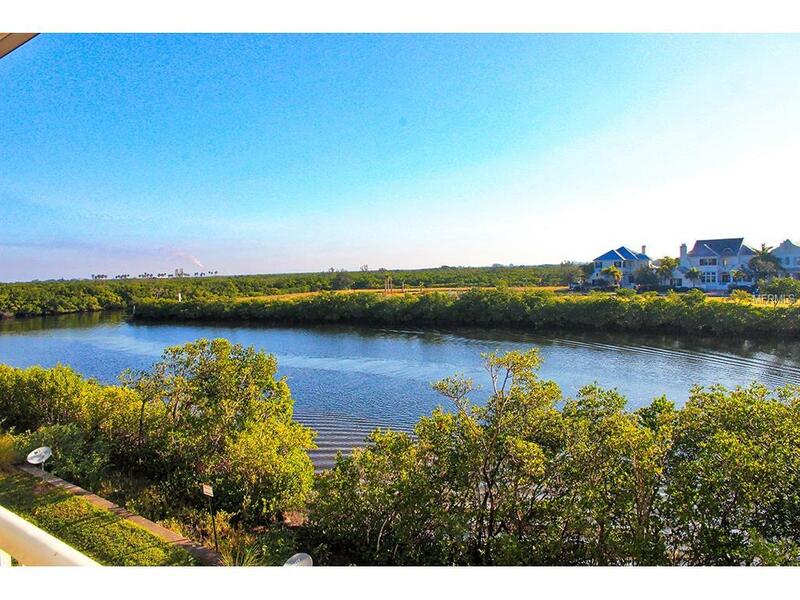 Town home has amazing water views of both the wide waterfront canal behind the home and Tampa Bay which it faces. Wonderful opportunity to watch the boats traveling to and from the Bay from one of two terraces on the East side of the town home or watch the sunset to the West from your front porch . Great location - closest walk to the Beach, the Restaurants, Marina, Fitness Center, and Tennis Courts. This one of a kind town home has been impeccably maintained. Convenient location-approximately half hour drive to Tampa, St. Petersburg, and Sarasota. Shopping, hospitals, restaurants, and golf courses all near by. When it comes to value, nothing compares to this unique waterfront community. Being sold AS IS for the convenience of the Seller. The taxes include CDD.